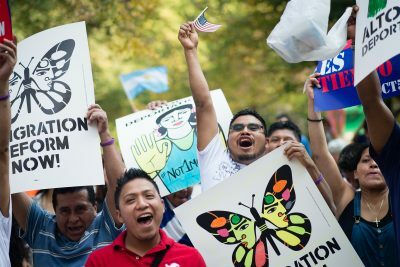 The Pennsylvania Immigration and Citizenship Coalition relies on our member organizations, foundations and generous individuals to provide vital support. PICC is a 501 (c)(3) organization. Your contribution is tax-deductible to the full extent provided by law. Individual donors are critically important to keeping PICC going. If you support making Pennsylvania a more welcoming place for all, please consider donating to PICC. Your donation will help support advocacy, organizing, leadership development, coalition building, training, and public policy work in Pennsylvania. If you are donating in honor of a person or for a specific campaign or project, please indicate in the "Designation Code" field, ex. "In Honor of my mother" or "Youth Organizing Project"
I am contributing on behalf of my organization.